"Do not miss this not to be missed type of thing! 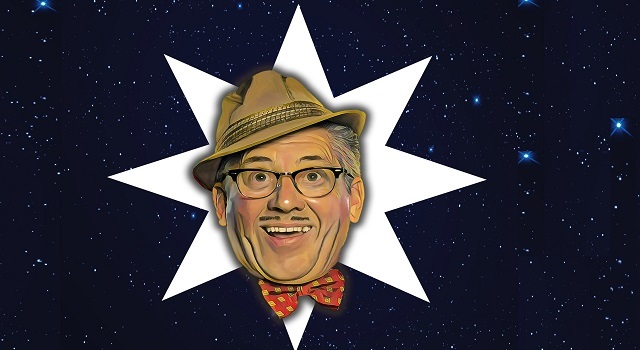 If I wasn’t in the show I’d deﬁnitely be in the audience watching myself intently"
As well as being the all-round entertainer we all know and love from the telly, Count Arthur Strong is also a lifelong fan of astronomy, since having been given a microscope, or whatever it is they use, for Christmas when he was a small precocious baby. In fact, it’s said the ﬁrst word he spoke was ‘Uranus’. In this, his brand-new show, he seamlessly combines the very best showbiz entertainment you’ll currently ﬁnd, in the world, possibly? as he wrestles with some of the big questions that other all-round entertainers shy away from. Such as: Are we alone in the universe?